Published July 22, 2015 at 2048 × 2048 in champetti diy. Step 1: Gather supplies. Champagne, confetti & spray adhesive. Step 2: Spray adhesive onto champagne bottle (preferably outside). 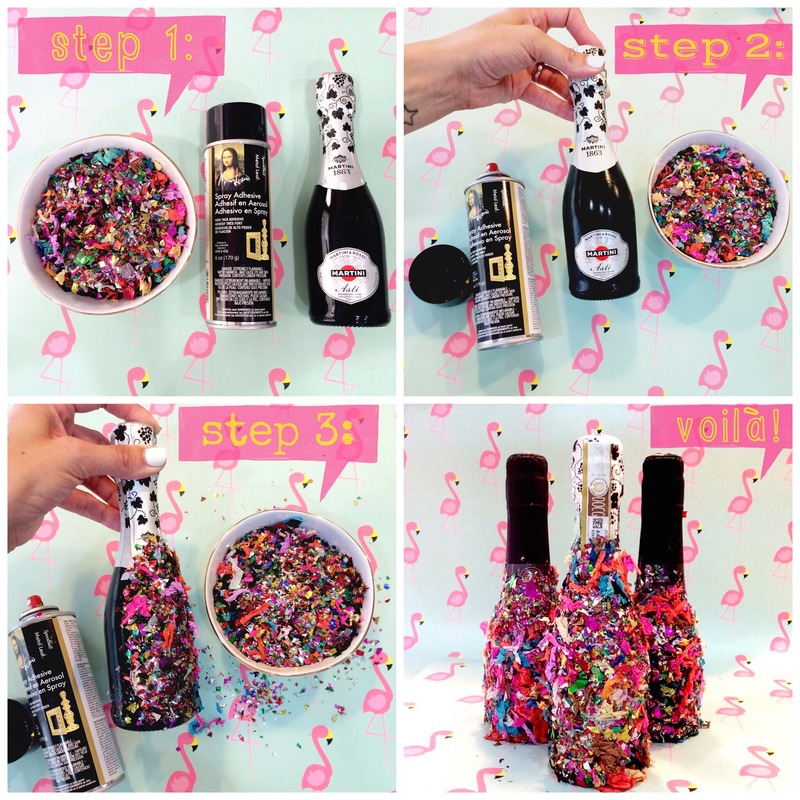 Step 3: Sprinkle the confetti on the bottle, pressing it on to make sure it’s adhered, then gently brush off the excess.